We are the premier full service Doylestown Building Company focusing on exceptional quality workmanship and customer satisfaction that is second to none. Over the years, the work we've done for our client's has garnered the attention and recognition of both local and national organizations. We have won multiple Contractor of the Year awards from the National Association of the Remodeling Industry (NARI), received coverage in Luxury Living by the famous House & Home magazine, and received the Best of Doylestown award. We pride ourselves on the we do for our clients, and are very pleased to have the accolades to show for it! The founder and President of Bryan Construction, Inc., David Bryan Soriano, has resided in Bucks County PA since 1964. David started in the construction business full time shortly after college in 1980, when he joined a family member’s custom design/build company located in the center of Doylestown, which was originally established in 1909. The Doylestown construction company specialized in custom homes, additions, stonework, masonry, and renovations of all types. For the next ten years he honed his carpentry and management skills as he worked his way up to Vice President of Construction for the company. Due to the diversity of the company, his construction knowledge and expertise grew deep and broad. During the next twenty years, David served in various senior management positions for a few area award winning developers and construction firms. Up to this point in his career, he has successfully built and delivered approximately 1000 homes and almost two dozen communities along with several beautiful commercial projects. Bryan Construction, Inc. is a premier full service Doylestown Building Company focusing on exceptional quality workmanship and customer satisfaction that is second to none. The company is built on a rock solid foundation with over 30 years of construction experience ranging from small renovations and backyard retreats to large multimillion dollar projects. Our experience also includes land development and improvements. We are licensed and fully insured, and stand behind our workmanship. We take pride in developing long term repeat customers. Yours is no ordinary vision. Then again, we’re no ordinary builder. 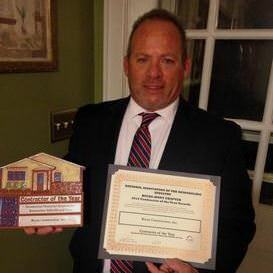 For more than 30 years, David Soriano has been providing residential and commercial clients with first class workmanship and reliable services throughout the Doylestown, Bucks County, Montgomery County, and Central New Jersey areas. We are licensed and fully insured, and we stand behind our work. Brick by brick, project by project, client by client, we, at Bryan Construction, Inc. are building a reputation for extraordinary attention to detail and integrity. Our reputation as a trusted partner is extremely important to us. Many of our clients are “repeat clients” and we value the long term trusted relationships we have built with them. We strive to satisfy our client’s goals and objectives, and we do this in a timely and efficient manner. TRUST, INTEGRITY, and QUALITY. These are the foundations upon which Bryan Construction, Inc. is built. Our team is highly skilled and qualified with years of experience. Most of all they come to work smiling and ready to construct your dream with a passion for planning, designing, and building a project that not only looks beautiful, but brings value to your home.